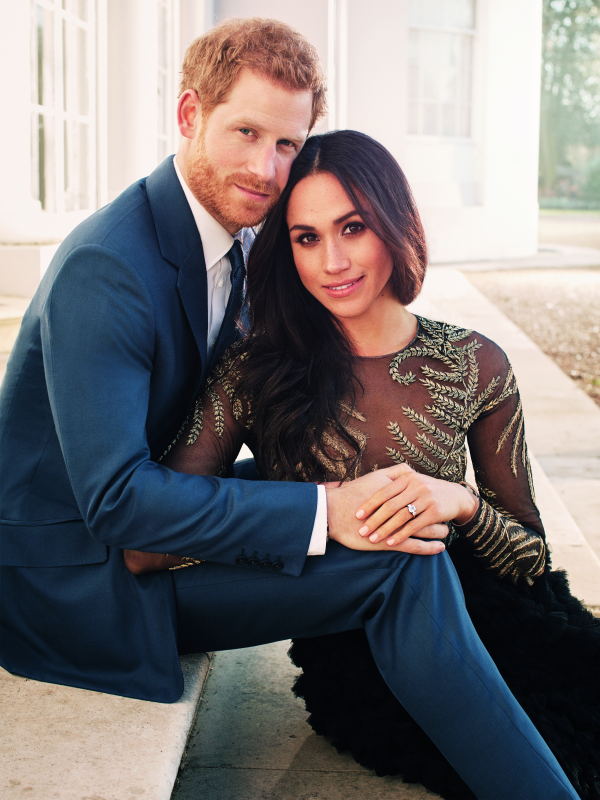 Prince Harry's romance with actress Meghan Markle had been public for some time, but many were still happily surprised when they officially announced their engagement in November. The announcement came only days after his grandparents, Queen Elizabeth and Prince Philip, celebrated their 70th wedding anniversary. 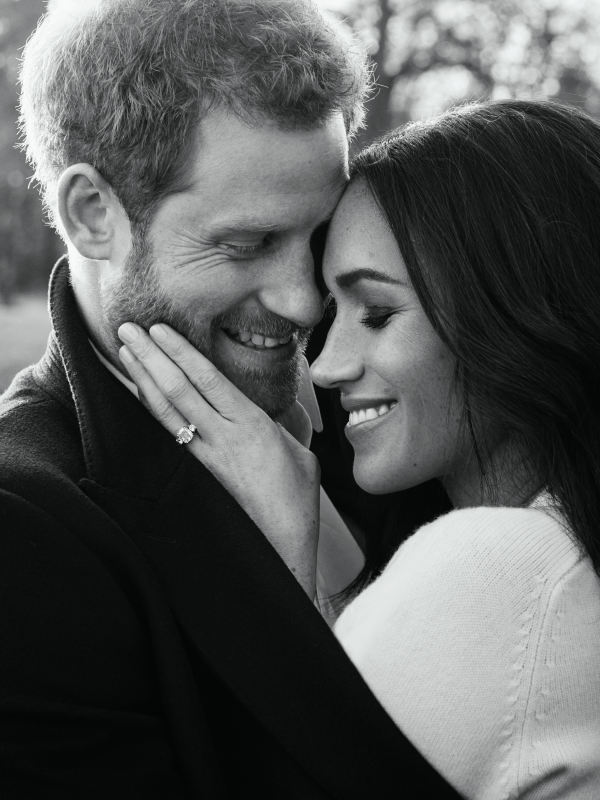 Harry presented Meghan with a stunning, sentimental engagement ring. The central diamond was sourced from Botswana, a place that is important to the couple. The smaller diamonds on either side come from the collection of his mother, the late Diana, Princess of Wales. 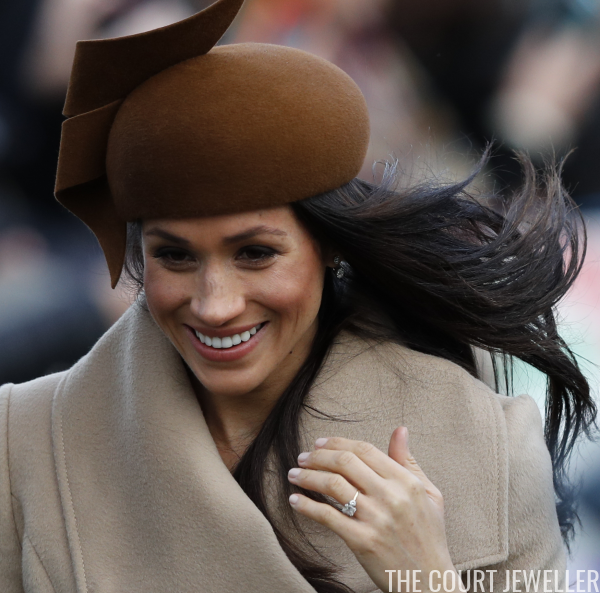 We've had several opportunites to see Meghan wearing her new ring over the past few weeks, including the royal family's annual Christmas gathering at Sandringham. 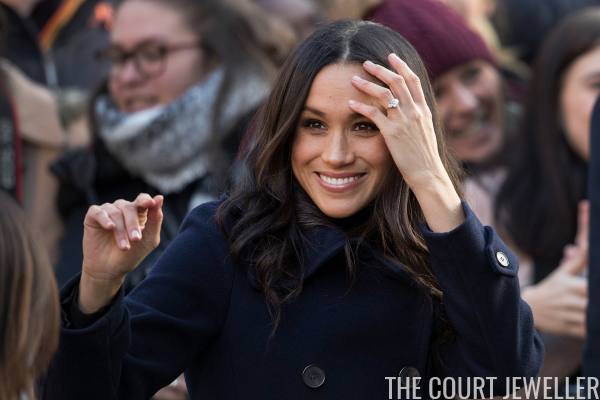 And while the ring is lovely in and of itself, it's really the promise of future jewels -- and a royal wedding in May -- that makes this such an important jewel moment!